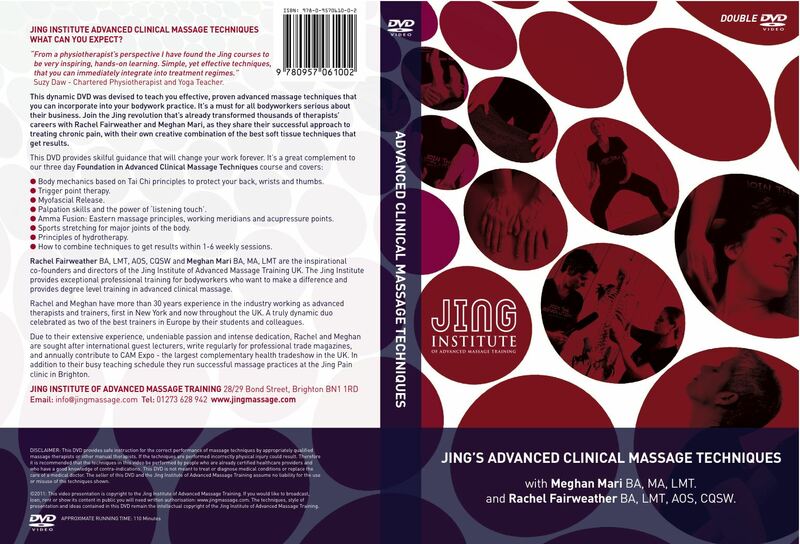 Be the first to see the dynamic training DVD with the Jing Advanced Massage Training. Giving you expert advice on stance, body mechanics and advanced massage techniques such as trigger point therapy, advanced stretching and myofascial release, Meghan Mari and Rachel Fairweather, the directors of Jing, reveal their secrets for the first time on DVD! To Order please call us on 01273 628 942 or add to cart to buy online. Please note – if the sections below appear empty, you may need to disable your ad-blocking software!